Advance Packaging & Adhesives LLC is best manufacturer and supplier of Semi rigid aluminium duct all over UAE including Abu Dhabi–AUH, Ajman – AJM, Sharjah – SHJ, Dubai – DXB, Fujairah – FUJ, Ras Al Khaimah – RAK, Umm Al Quwain – UAQ. Airmaster Semi-rigid aluminium flexible ducting manufactured from pure aluminium corrugated strips, spirally wound, to produce a double over-lapped joint to prevent uncoiling in use. Fire resistant. Available in compressed 3 metre lengths. Download our catalogue to view the complete range of products. Airmaster manufactures other ducting accessories such as duct connectors, insulated and uninsulated flexible ducts. Duct connectors are simple a flexible yet robust fabric secured by metal strip on either side. This ducting accessory, being flexible, helps prevent noise and vibration in the ducting system. 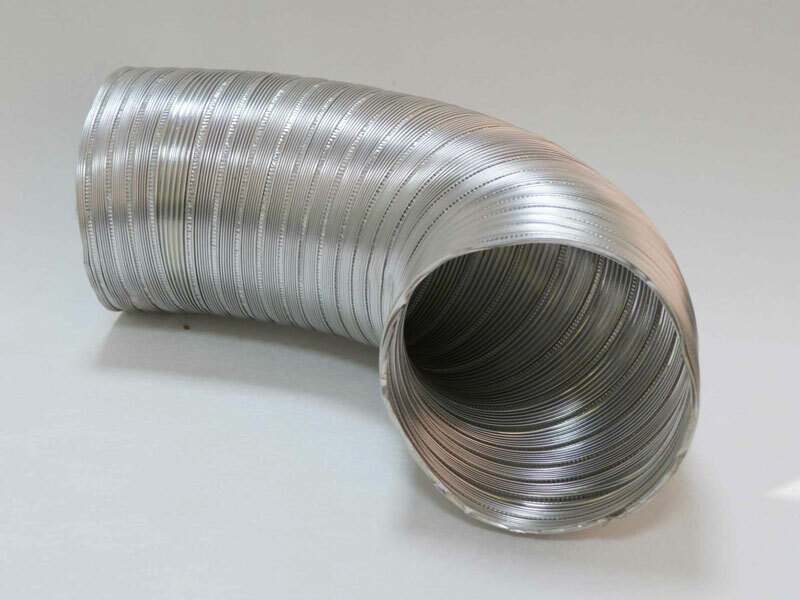 Flexible ducts are used in heating, ventilation and air-conditioning systems, to connect air outlets to the duct work. It is recommended to install flexible duct, cut to the required length, precaution should be taken to not bend the flexible duct across sharp corners. Using compressed or longer flexible ducts can cause friction losses. Airmaster also manufactures other ducting accessories such as access door, volume control dampers ( rectangular and round), pressure relief dampers, back draft dampers, sound attenuators ( rectangular, circular and cross-talk) and fire dampers (UL 555 tested and approved). Airmaster manufactures these ducting accessories from high quality galvanized steel. The volume control dampers are available with manual and motorized operation, with actuators of client’s choice. Pressure relief dampers are factory calibrated to operate at required pressure drop. Sound attenuators are used to eliminate the noise generated by the equipments ( generally AHUs , generators, cark park fans, etc). Airmaster uses a third party renowned and reliable software to make sound attenuator size selections through duct analysis. Fire dampers are available with curtain type operation and motorized operation, suitable for fire , smoke or as a combination of both fire and smoke. All ducting accessories manufactured by airmaster are tested by internationally renowned third party laboratories such as ETL Intertek, Underwriters laboratory, BSRIA, etc , for performance and efficiency.